An inverter air conditioner is a system to control the compressor motor to convert incoming alternating current (AC) to direct current (DC) from converter circuit, then from DC to AC which is able to adjust a desired frequency by Inverter Circuit. An inverter in an air conditioner works differently from other air conditioners in that the air temperature will be gradually cool down to the set level, after that, compressor motor will adjust its loop so the temperature in the room will be steady. 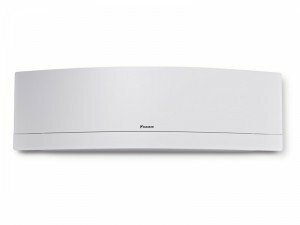 For air conditioners without inverter, when starting switch-on, the temperature will be cool down than the set level , approx. 1-2 degrees, after that compressor motor will be made stop working. 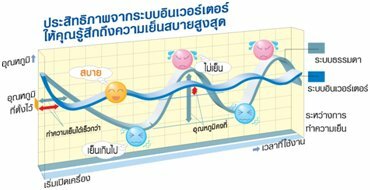 After that, compressor motor will stop working, the temperature will be gradually increasing more than set temperature approx.. 1-2 degrees. The compressor motor will resume the process again which makes it more cooler, alternating with heat. You will feel uncomfortable when in bed. Daikin Inverter is distinguished in "Swing compressor" that reduces friction and vibration of the motor and prevents refrigerant leakage from air conditioner so it runs very quietly with energy saving. With such technology advances, Daikin’s swing compressor was awarded by The Japan Society for the Promotion of the Machine Industry in 1997. Moreover, DC Motor uses magnetic neodymium, which is 10 times more durable than general magnet and gives more power as it generates power over even though it is smaller than AC Motor or DC Motor of the conventional air. It also has a unique feature that the low speed increases performance by approximately 20 %, which DC Motor was awarded by the Institute The Institute of Electrical Engineers of Japan in 1998. 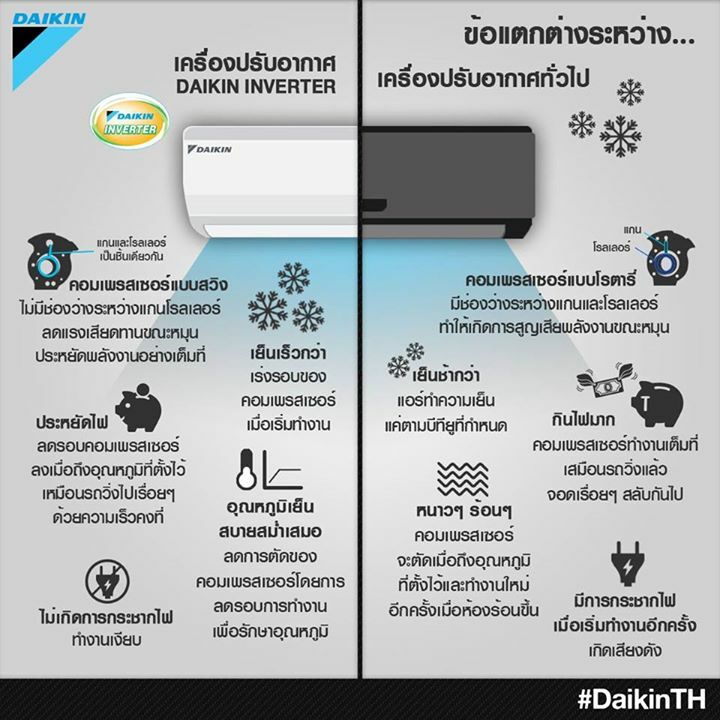 Daikin has been consistently developing inverter air conditioning system. Daikin installed “Surge Protection” system to prevent the problem of AC power. Besides, PCB prevents all insects that might be interfering with the system. Therefore, worry-free with all kinds of maintenance. Daikin can re-assure “Daikin R32 Inverter” – the inverter air conditioning with R32 refrigerant – by extending the warranty period of “Evaporator and PCB circuit (outside of building)” from 1 to 3 years from the date of purchase or the date in warranty card.